This is the second of a short series on Amesbury, my wonderful prep school and its influence on my life. 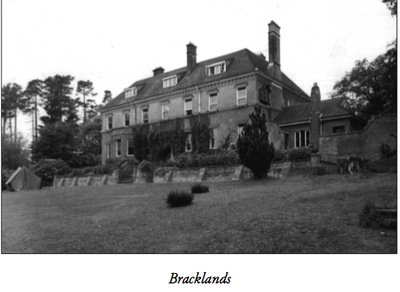 Not only did Bracklands have the grounds and woods that enabled me and my friends to recreate WWII, the wild west, the 100 years war and the trenches of WWI but it also had a library that fired us up to go on these adventures. The Amesbury library was very well stocked - but there was an anomaly - almost none of the books had been purchased since 1939 and most were acquired in the late 1920's and 30's. I was imbued with the Boys view of the world of at least a generation prior to my own. I have been wondering recently whether such books might have any appeal to children raised on Harry Potter or on Philip Pullman. So I have begun to reread them again and to look for the opinion of recent readers. Who am I talking about? Many of you may never have heard of G A Henty or Percy F Westerman. Many of you think that Conan Doyle only wrote Sherlock Holmes stories. Have you read the White Company - a book about the 100 years war? Few in North America know the names of Biggles and his creator Capt W E Johns. For Biggles fans, have you read the WWI books? Many may know of Hornblower, because of the TV series, but I wonder how many boys still read C S Forrester. Some thing is going on - a kind of time machine - that is opening up a world of adventure where boys take on manhood. The big hint may have been the very successful Dangerous Book for Boys - with its guide on how to skin a squirrel and useful tips on making your own catapult. The PC dogma that suggest that boys should really be girls is fading. I am amazed that Kindle has many of the Henty books available - maybe for copyright reasons - but look at the reviews! Modern kids and their parents are enjoying the mix of adventure, history and sheer good story telling as I did. This book is full of adventure, excitement, and HISTORY. If you want to learn about King Richard, Knights, the Crusades, or Medieval times then this book is perfect for you. Clean and entertaining, it's a story the whole family can and will enjoy if you buy it. G.A. Henty makes the book come alive with his wonderful story telling abilities that include twists and turns, and wonderful characters. You will begin to fell like your there as Henty describes the Middle East and England with wonderful descriptions and details. I highly recommend you buy this book! Henty was THE boys author for the Edwardian period. Each of the 100 plus books has a historical setting where a boy comes to manhood. The History comes effortlessly along for the ride. The struggle for acceptance into a man's world is of course a universal story that all boys share. So your son gets a great story told well and in background and painlessly learns a lot about history. My response was to want to know more. Percy F Westerman took on Henty's mantle as THE author. 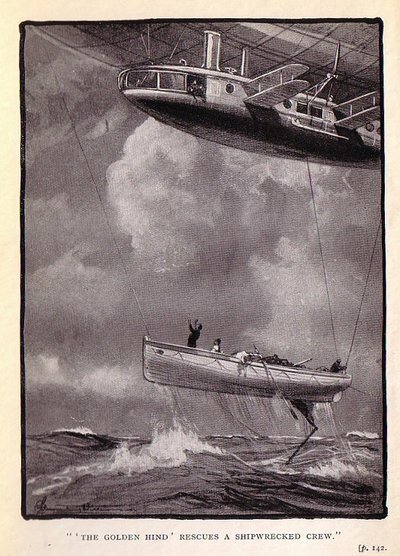 His books tend to have a technology bias - pirates with airships - Invisible planes etc. Arthur Ransome's "Swallows and Amazons" is the first in a classic series of children's stories that will appeal to readers of all ages. The book is set in the English Lake District in the period between the two World Wars, (where the author was living at the time). It tells of a time when a healthy imagination (and the freedom to take advantage of it) was enough to keep most youngsters both amused and out of mischief. The world was a safer and simpler place back then and this book does much to make us realise just how much has been irretrievably lost since. Not that this was ever Ransome's intention, of course. He was simply drawing upon his own boyhood experiences (from a yet earlier time) as well as contemporary ones of the children of a family friend. 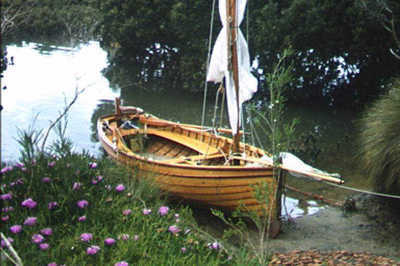 He used these to weave an enchanting tale that would remind those same children (by then returned `home' to the deserts of the Middle East) of a happy summer spent sailing in England. The story's strong basis in reality (albeit several separate realities, as it were), tempered with Ransome's love of sailing (and his knowledge of Lake District life), imbue the book with a strong sense of authority. Both the text and the author's own pen-and-ink illustrations also have an endearing charm that comes across even now, some 70 years after the book was first published. One of the great things about this book (and indeed, the whole series of books that was to follow) is that Ransome avoids most of the stereotypical treatments of children's roles that his contemporaries (as well as later authors) continually espoused. He always manages to treat (nearly!) all of his characters as equal partners in their activities, whatever their age, gender or background. The children are also afforded a greater respect and rather more freedom by the adults than is common these days, too. And while the children's `adventures' are nothing fantastical or extra-ordinary when viewed from an absolute perspective, Ransome manages to convey so much of the children's own excitement at their activities that the reader can't help being drawn into their world and so come to share some of that same excitement. All in all, this a delightful book and should be on everybody's essential reading list, regardless of their age! There is nothing prissy about these books. They speak to an ideal of children taking charge of their lives. Secretly they are also very educational. History as taught is often the worst subject in school. Lists of dates etc. But history absorbed as "Story" is something else. Set in the brief Romano-Celtic twilight between the end of the Roman Empire and the creation of Anglo-Saxon Britain, this is the story of Aquila, a Roman soldier who chooses to stay among his adopted people. However, his world crashes to pieces when he and his sister are enslaved by the Saxons, their father slain and their farm destroyed. Aquila eventually escapes, but his sister, now married with a Saxon son, makes her own choice to stay with the invaders. 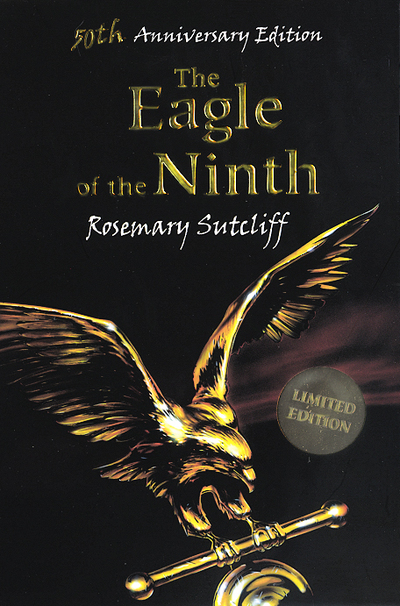 Aquila is embittered and angry, and the remainder of the story is his redemption, helped by a kindly priest, his Celtic wife from an arranged maarriage, and the Romano-British leader, Ambrosius, whose friend he becomes. I first read this book in my early teens, and it has stayed with me ever since. The themes of irreparable loss, vengance and redemption are quite adult, but not at such a level that adult or teen cannot appreciate them. Sutcliffe brilliantly captures the heroic twilight of the Dark Ages, and makes it utterly convincing. My hope is that as we move to electronic publishing, as we see with Henty, that more of these gems will become available again. 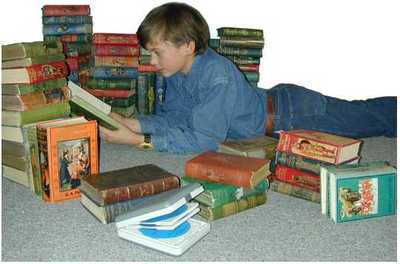 So this Christmas and next year, as you wonder what books you might expose your boys to - please check out some of the authors here.